One the joys (and hazards) of writing about art is I have gotten myself on some publisher lists and art books and catalogs are arriving at my front door with increasing frequency. We already have far too many books in our house -- I'm a former museum bookstore manager married to a writer/editor -- and books are a shared addiction. As addictions go, art books are pretty harmless except for the storage problem. 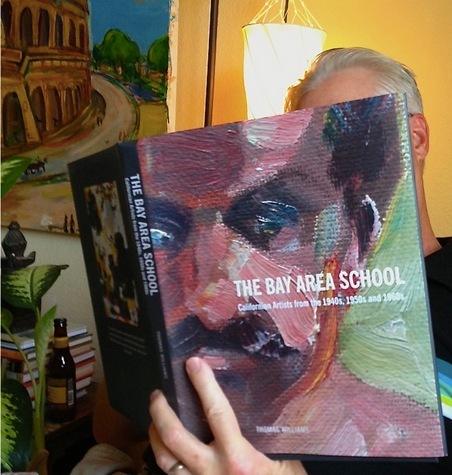 When the UPS guy rang the bell yesterday I knew that the "thud" on the doorstep that followed had to be Thomas Williams' new book "The Bay Area School: Californian Artists from the 1940s, 1950s and 1960s" and I was right. I am about halfway through it (nice book!) and after a week or so "The Bay Area School" will move to the carved bench in our front room where the three ziggurats of art books grow higher and higher each month. Yes, I do read books on Kindle for iPad, most recently Eric Fischl's "Bad Boy: My Life On and Off the Canvas," but the iPad just doesn't feel quite right in my hands the way a book does. Printed art books -- especially those with large, high quality images -- have a pleasing physical presence, and you can leave them on your coffee table where your more cultured guests will perhaps notice them and raise their opinion of your taste a notch or two. Here is a selection of art books and catalogs that can enjoy while forgetting the summer heat and sipping your favorite cold beverage. Let me start out with a bounty of books about West Coast artists, who are finally getting the critical attention they have long deserved. The University of California Press issued two beautiful catalogs this past March. The first is "Summoning Ghosts: The Art of Hung Liu," which was created to accompany the artist's much lauded recent retrospective at the Oakland Museum of California. 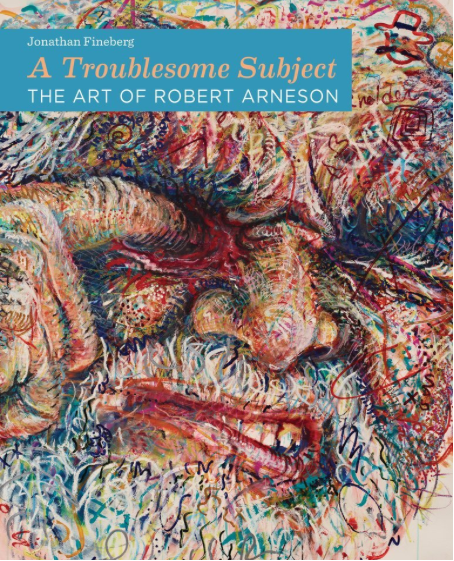 The second is "A Troublesome Subject: The Art of Robert Arneson." I am especially interested in the Arneson book, the first major monograph on the very hilarious and self-lacerating ceramicist who succumbed to cancer in 1992. If ever an art book was overdue, this is it: Arneson was the bomb! 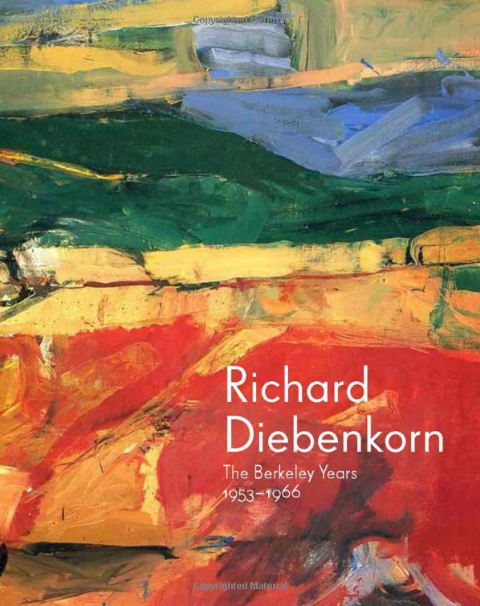 Yale University Press -- in collaboration with the Fine Arts Museums of San Francisco -- has just released "Richard Diebenkorn: The Berkeley Years, 1953-1966" with essays by Timothy Anglin Burgard, Steven Nash and Emma Acker. The Diebenkorn show has been getting raves -- on Twitter, MuseumNerd tweeted "It's ridiculous how great the #Diebenkorn #BerkeleyYears exhibit @deyoungmuseum is." -- but since the current BART strike is making it hard to get to the exhibition maybe ordering the catalog would be a good idea for now. If you don't already have a copy of "Richard Diebenkorn: The Ocean Park Series," by Sarah Bancroft make sure to order it when you get the Berkeley catalog. Looking over the great Ocean Park series on 100+ degree days helps fool my brain into thinking that I am actually in Santa Monica enjoying some cool ocean breezes. NOT! 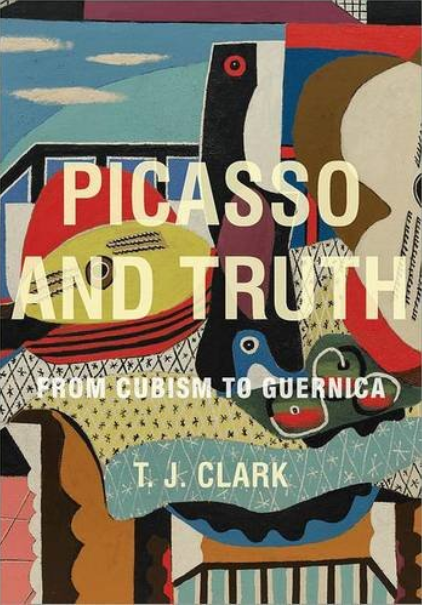 If it is under 100 degrees where you are you might want to go the other direction and heat things up with the rather ostentatiously titled "Picasso and Truth: From Cubism to Guernica," by T. J. Clark. I'm still waiting for Clark's antithesis John Richardson to publish the fourth volume of his massive multi-volume Picasso biography, but while I'm waiting I'm sure that Clark's "ditch the gossip and try a Marxist perspective for a change" approach will be challenging and enlightening. Besides, Richardson is now hinting that he will end his Picasso biography in 1962 because -- as he recently told the Financial Times - "...I know too much. I know where the bodies are buried." Whoa! While mentioning some of the heavier new reads out there this summer, I need to thank Professor Boris Röhrl for sending me a copy of "World History of Realism in Visual Arts 1830-1990: Naturalism, Socialist Realism, Social Realism, Magic Realism, New Realism and Documentary Photography." The English edition which he sent comes with a handsome blue cloth cover, but I understand that the German version has a painting by Californian F. Scott Hess on the front. I wish the book had more color plates, but this is certainly the only book in my library with a chapter on "Realism in Bulgaria." I am going to masochistically will myself through this substantial book. "Lisa Adams: Vicissitude of Circumstance" Zero+ Publishing, 48 pages How about some books that are themselves works of art? Zero+ Publishing -- founded by artist and professor Kirk Pedersen of Mt. San Antonio College -- creates books that are highly collectible. Many of the books from Zero+ come in two or three different formats, and some of its limited edition books are hand-decorated. I have a copy of Fatehmeh Burnes' photo book "Drift" published by Zero+, and it is mesmerizing, visually poetic and moving. 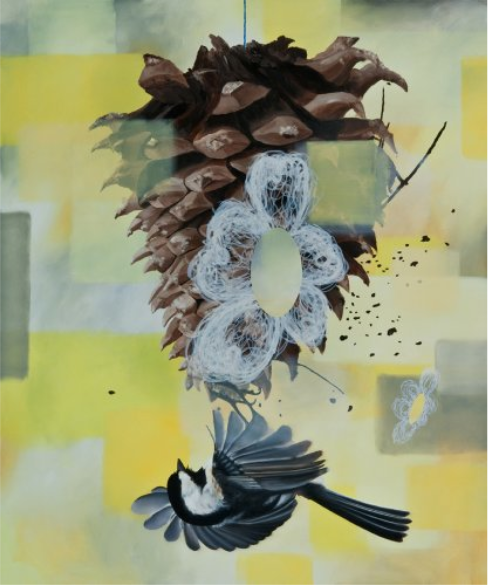 Painter Lisa Adams' stunning book "Vicissitude of Circumstance," with essays by HuffPost Arts blogger James Scarborough and Ezrha Jean Black is on my list. I hope you will take a moment and leave some comments to let me know what art books and catalogs you are reading this summer. That said, its time to grab a beer, head for the reading chair and listen for "thuds" on the doorstep.